I love my collection of geeky earrings. I’ve been slowly adding to it over the past couple of years and they keep being noticed by people! Even though I’ve blogged about a couple of these in the past, I’ve been asked so often where I get my earrings from, so here’s a list of my favourites and where to get them. Starting off with some disappointing news: these are my absolute favourites, but I’m really sad to discover the etsy store doesn’t exist anymore. At the time they were available in gold or silver colour from etsy store DoubleBJewelry for £8.35/$12.50. This is also the same place I got my origami airplane earrings from. I’ve contacted the store owner to see what happened with the store, so fingers crossed that it still exists somewhere! Want the Mass Effect equivalent of an angel and a devil sitting on your shoulder? 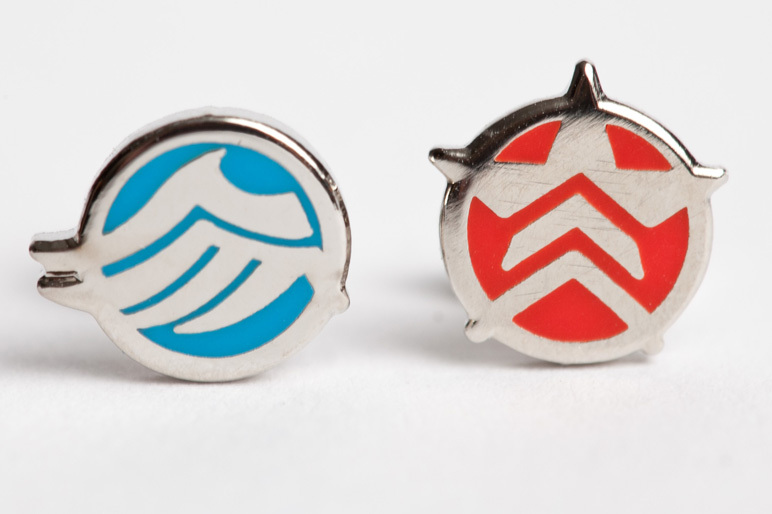 You can get these earrings from Sanshee.com for only $15.99. 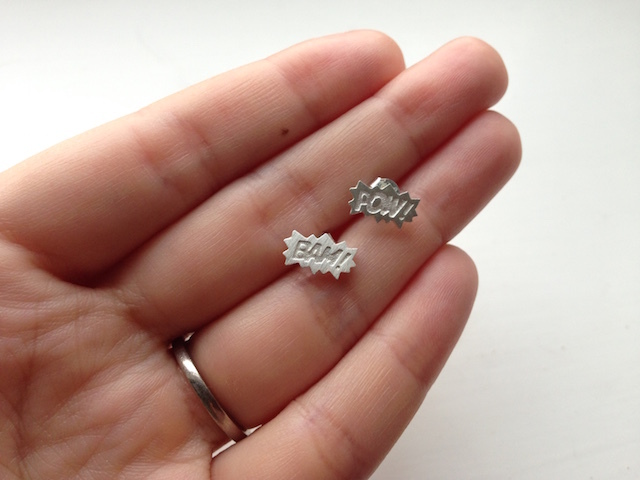 The earrings to wear when you’re off to see the latest Marvel or DC movie! You can get them from etsy store laonato for only £7.90. This store has sooo many other geeky earrings to choose from – I’ve also got the UFO and Robot set and the Rocket and Planet set, while I’ve just ordered three new ones too: the Lego blocks, the Balloons and the Zigzag which sort of looks like the FutureLearn logo. See that’s what happens when you end up writing a post about pretty earrings: more pretty earrings. My final favourite pair is actually the first geeky set that I ever got (thanks Betsy! 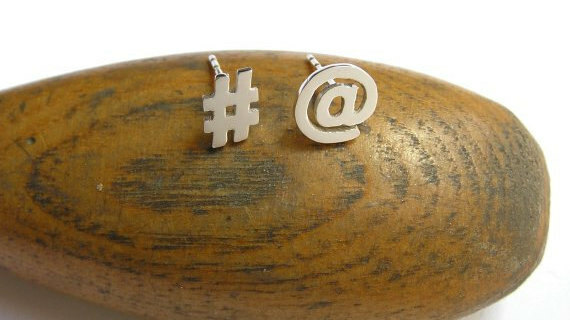 ): Twitter earrings! It’s mainly thanks to these that I realized geeky earrings were a thing and ended up collecting them. You can get them from etsy store DaliaShamirJewelry for £27. 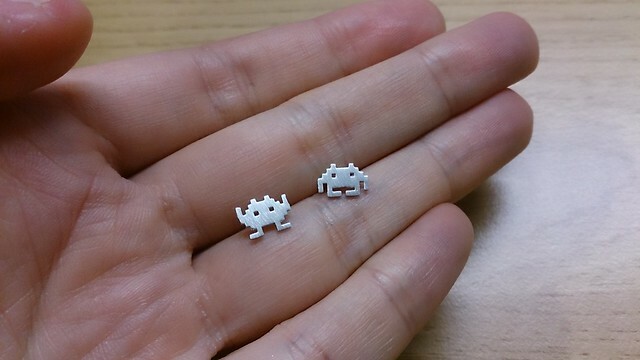 So what are your favourite geeky earrings? Are there any that I really should get? Or do you know of others that I should blog about? Let me know on Twitter or in the comments.